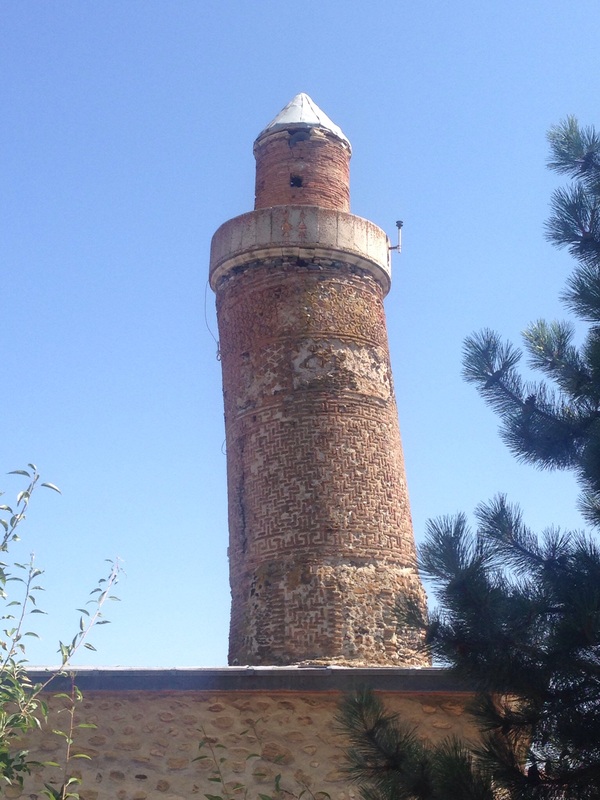 An ancient Turkish version of the Leaning Tower of Pisa! 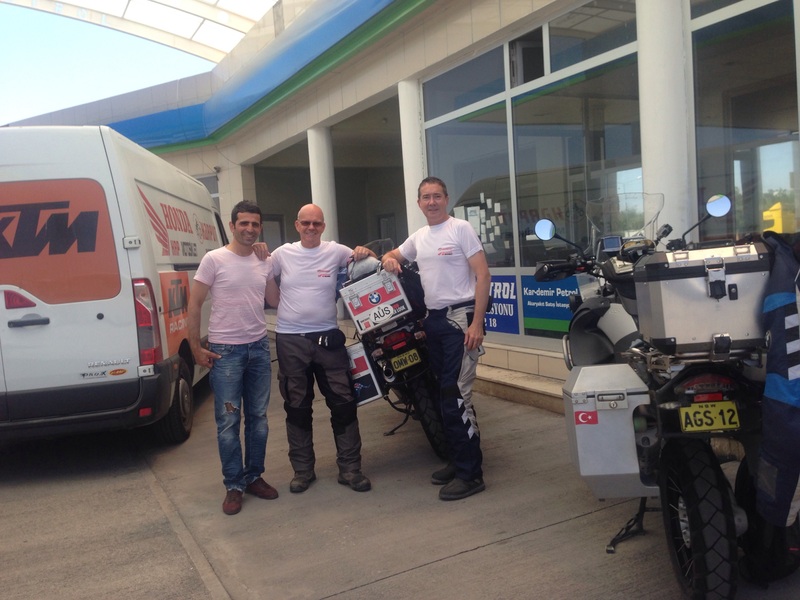 Today was going to be an easy one for us, after yesterday organising a tyre for Steve’s bike we only had a 100km ride to a near by town of Elazig to meet up with the owner of a bike shop who was to supply the tyre. After pulling into a service station and asking the manager for assistance in directions to get to the shop, he was soon on the phone and we were advised to stay put as the shop owner was coming to us! Meeting up with our Tyre contact person Oktar at a petrol station. After a short waite a lovely chap by the name of Oktar Dal who owns Harput Motosiklet appeared and was soon escorting us into town. The next thing we pulled up outside a corner shop to visit Oktar’s brother and cousins and to have a tea with them. No rush here. 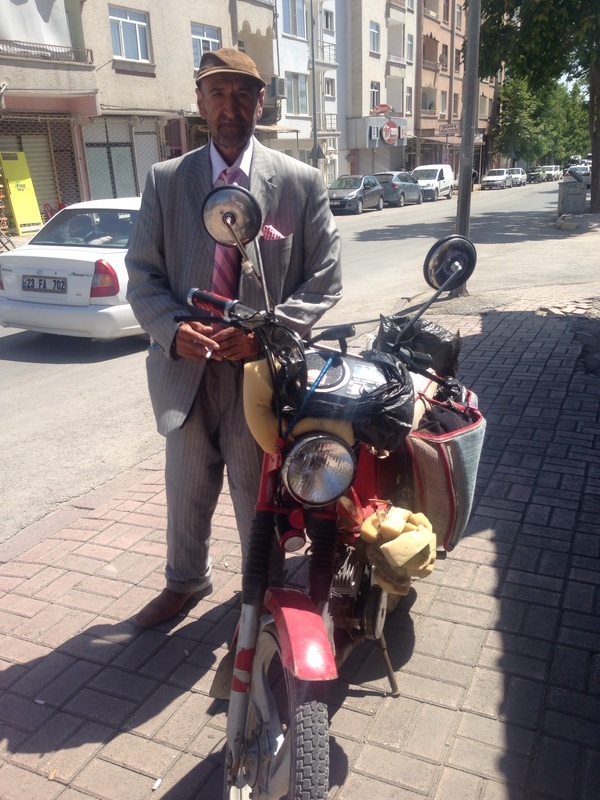 Oktar then left his van and jumped on the back of my bike and we were off to visit the ancient sites of Harput. It was as though around every corner there was some ancient relic. Nothing was too much trouble and we stopped after a short while for lunch in a lovely shaded outside cafe for a cooked meet and salad lunch. An ancient church at Harput. One of many relics. 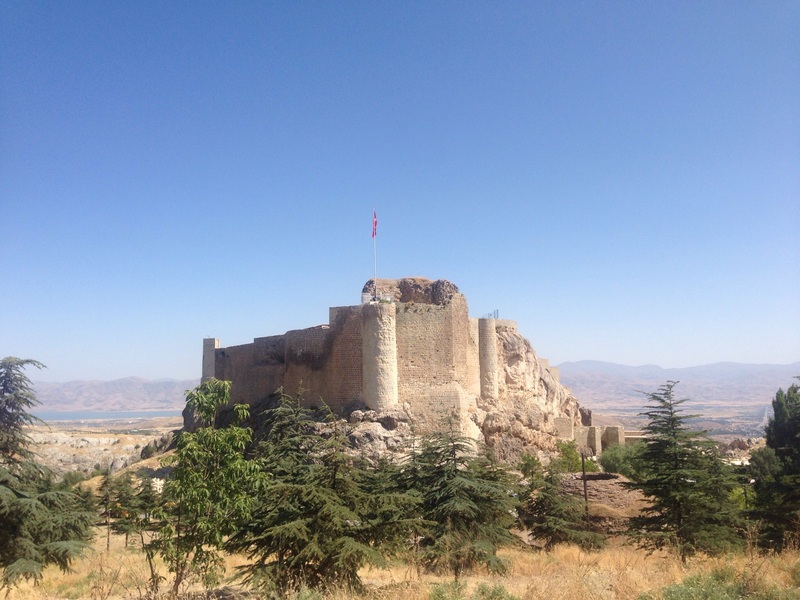 The return trip to Elazig unfortunately went pear shape after David’s off (see other post for details). We did make it back to town and have found a hotel ($35au per night) for the next two nights as Steve’s tyre will arrive in two days in the mean time we are meeting Oktar tonight for a meal and hopefully we can laugh at today’s events.